It has long been proposing a Facebook Messenger as an excellent alternative to other smartphone messaging applications such as Whatsapp and even replacement for IM services like Google Talk and MSN Messenger. Why? Facebook recently updated their smartphone app Facebook messenger for both Android and iOS with new feature- Voice Messaging. 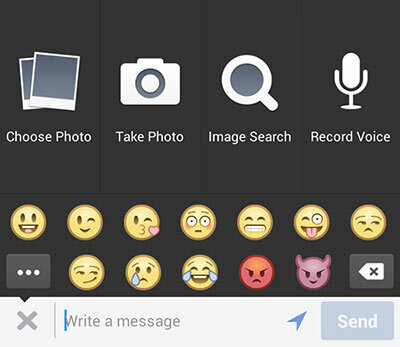 Now, users of Facebook and Android can send voice messages through Facebook messenger app. Users of this app can create short audio (up to one minute). This is only possible from the mobile application, but still we can hear without problems from Facebook desktop website. How to send a voice message using Facebook Messenger? To send a send voice message, click the Compose button as you would for a text-based message, but tap the “+” button to the left of the message body. The option to “Record Voice” will appear below, next to Attach a Photo and Camera. Tap that and a Red, record button will appear; touch and hold to talk. If you want to send the message just release the button and if you want to cancel just slide off the button to cancel and the message will not be sent. However, to use this new feature, users of the android and iOS will have to upgrade to the new version of Facebook messenger. Otherwise, you will receive a message (instead of audio), with a direct link to the new version. Facebook also announced that it’s testing VoIP functionality in Canada. And in addition to voice messages feature, with this new update Canadian users have exclusive access to Facebook Messenger’s free voice calling service and it’s still in beta. Unlimited calls can be made to other Facebook friends, if Wifi is not available the calls will be made using cellular data. 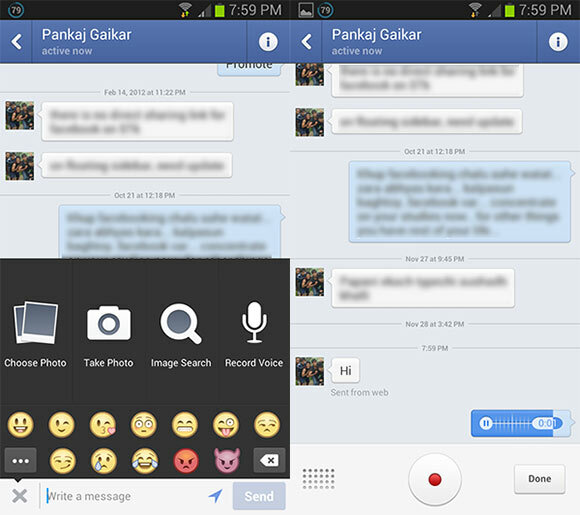 Facebook messenger android version updated to 2.2.4 with send a quick voice message when you have more to say feature. The update is now available in both the Google Play Store and in iTunes.